Crisis management may be defined as the exercise of common sense at lightning speed. Importantly, the effectiveness of crisis communication during the hours, days, and weeks it takes to resolve and recover from an event will prove essential to preserving the reputation, credibility, and morale of your organization. My years of experience and observation of crisis response have made it abundantly clear that every business and organization is vulnerable to mistakes, mishaps, surprise events, and human error. We are all vulnerable! However, experience also demonstrates that it is a prudent organization that has studied its vulnerabilities, identified those that present the greatest risk, and gets ready with what it must do and say to respond quickly and effectively in the face of a crisis. Identify the words and actions on the part of management that can significantly worsen a crisis situation and, conversely, the ones that can move the situation toward a more satisfactory resolution. Overcome management objections to crisis communication readiness. Master the skills required to be a verbal visionary and valued counselor in an organization. 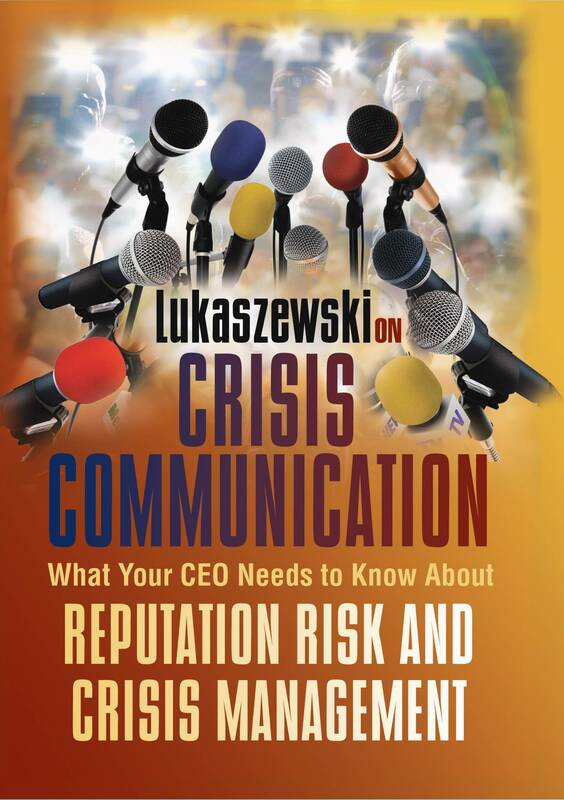 Click HERE to receive your free chapter from the book Lukaszewski on Crisis Communication: What Your CEO Needs to Know About Reputation Risk and Crisis Management, by Jim Lukaszewski! 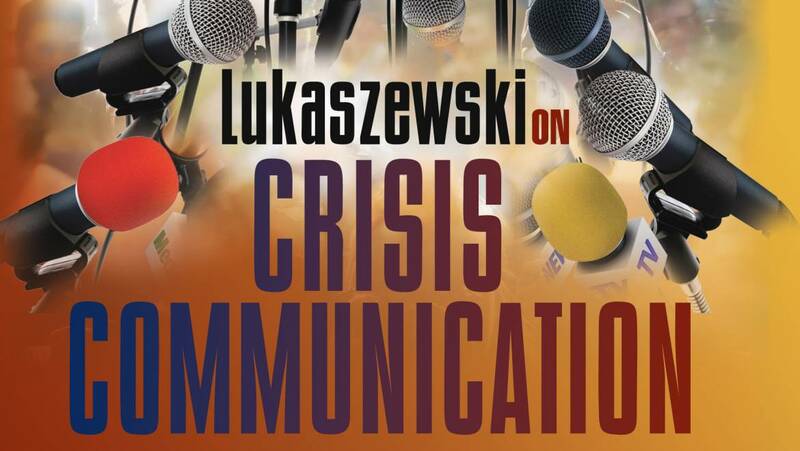 In his industry-defining book on crisis management and leadership recovery, Jim Lukaszewski jump-starts the discussion by clearly differentiating a crisis from other business interruption events and introduces a concept rarely dealt with in crisis communication and operational response planning: managing the victim dimension of crisis.